Found at the grocery store - didn't buy. The store shelves are beginning to get back to normal. Along the river is going to need much more time and work to get back to normal. This afternon I went to the local grocery store for a dozen eggs and a loaf of bread. 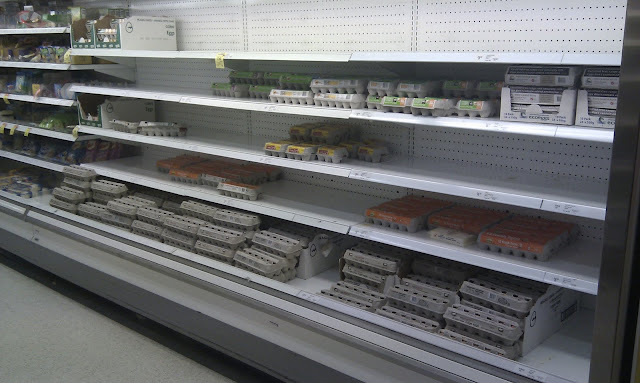 They were completely out of bread and low on eggs. Apparently there had been a run on certain items that morning. So, tonight Barb & I went back to night just to look around and pick up a couple other things. I took a few pics with my cell phone camera. 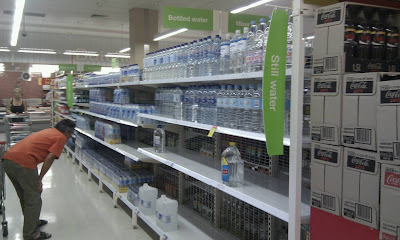 Most of the shelves were full as usual, but they were out of a few things; bread, beans and bottled water. It does seem a bit odd that just a few kilometers from us is a major disaster area and here seems life as usual. Heck, the rain stopped and it was even sunny today. We have been watching the local TV coverage and it is odd to see places we recognise underwater. I think we have watched more TV in the last two days than we have in the last two months. The river is supposed to peak at 4am at 5.2 meters (17ft) above normal. 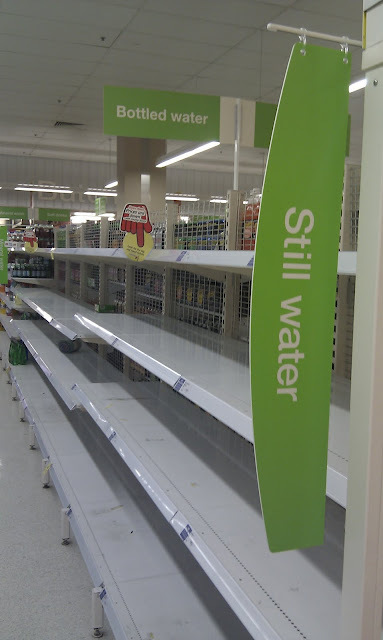 Completely out of bottled water, but the pop the next aisle over is full. 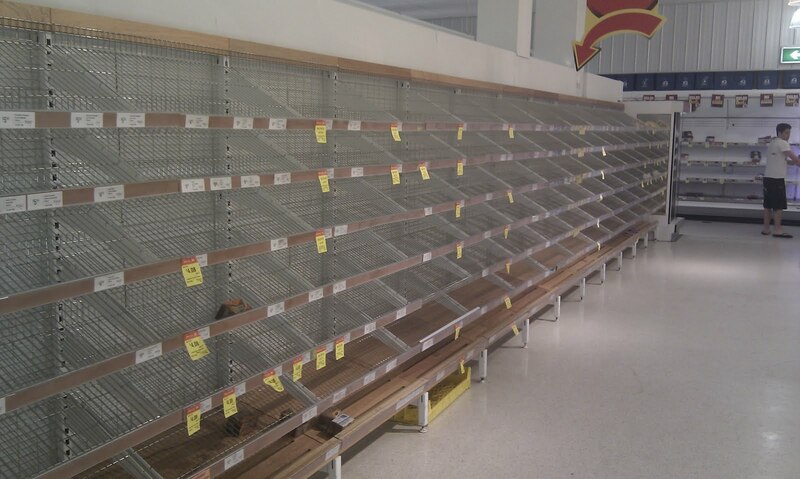 So much for Brisbane's usual ability to sidestep disaster. So far 100,000 houses in the area are without power (since water + electricity=bad news, hence the power company has shut off whole suburbs.) Numerous, entire suburbs have been evacuated, including the CBD (central business district, or downtown in North America speak) Some business people have been relocated to Sydney to do their jobs, since the downtown core is a ghost town. The peak is expected at 4 am this morning, and a second peak at 4pm tomorrow afternoon. 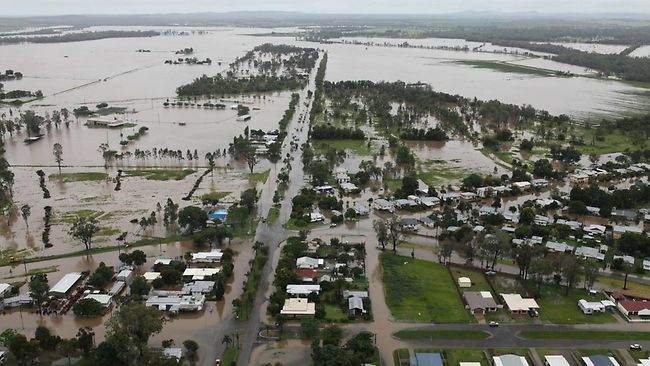 The emergency services, Red Cross, Salvation Army, and the actual Australian Army have been working around the clock getting people to safety. We have seen video footage of people being picked up off of roofs, out of trees. Some are not so lucky, and there are 12 confirmed dead with dozens missing. This is really only the crisis phase of the disaster, and there are predictions of dysentery, Dengue, Ross River Fever and others as well as strain on the Mental Health services in coping with the aftermath. 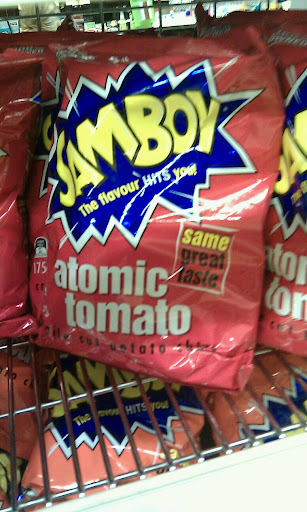 Public Health nerds are in the limelight at last. UQ has areas under water, and the second year med students have had classes cancelled until further notice. I will be starting on my clinical rotations, so I am not expected to commute to campus anymore, but rather the hospital I have been assigned to. Starting Jan 24, that will be the Prince Charles Hospital for mental health for 8 weeks. This is about 1 km walk, so I am very fortunate. In a way it is very surreal, since we live in a suburb entirely unaffected by the floodwaters, and unlikely to be. The worst inconveniences we can expect is no trash collection until further notice, no public transport (due to so many roads cut off), and empty grocery stores. (see Rob's photos). We essentially have not changed our routine much. This makes me feel extremely relieved (I lived in a flood prone area last year), and a bit guilty for our protected status. We have put our home on offer for anyone who needs higher ground to go to. Just to let all of our friends back in Canada know, although there is flooding in Brisbane we are okay here. 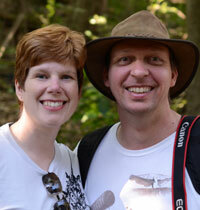 We are about 7km from the river and half way up a big hill. 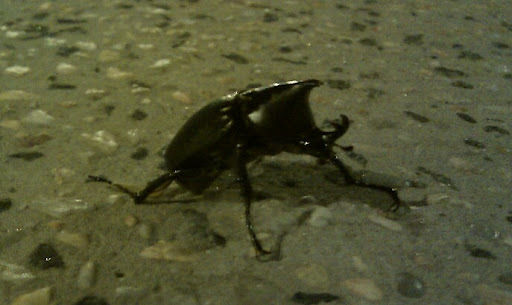 Barb and I went for a walk tonight and found this guy on his back on the sidewalk. He was HUGE. I flipped him back upright and he went on his way. First time either of us had seen a Rhinoceros beetle outside of a museum display. 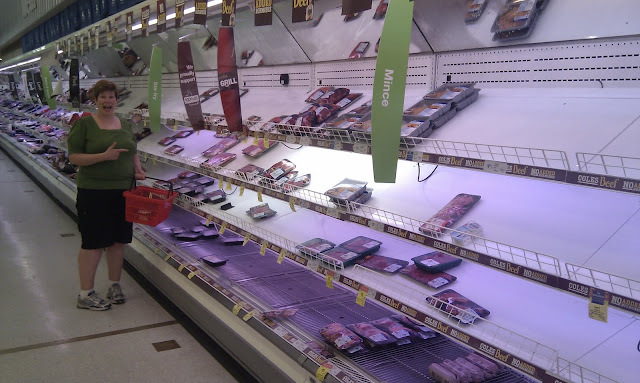 Brisbane is, as usual unaffected. However an area the size of France and Germany COMBINED is underwater in the worst flooding in 50 years. Red Cross is accepting donations to help these people.